3 Minute Read | Insights from one of Canada’s largest speaker events; promoting opportunities for audience connection and cultivating diversity. Being new to Talent Bureau, I’ve been getting to know Jeff Lohnes as I help put out new content on the website. Alongside his role at TB, Jeff volunteers as co-chair for TEDxToronto. I was curious to learn more about his experience of event-planning, so I asked him a few questions about this year’s TEDxToronto event, taking place on October 27. 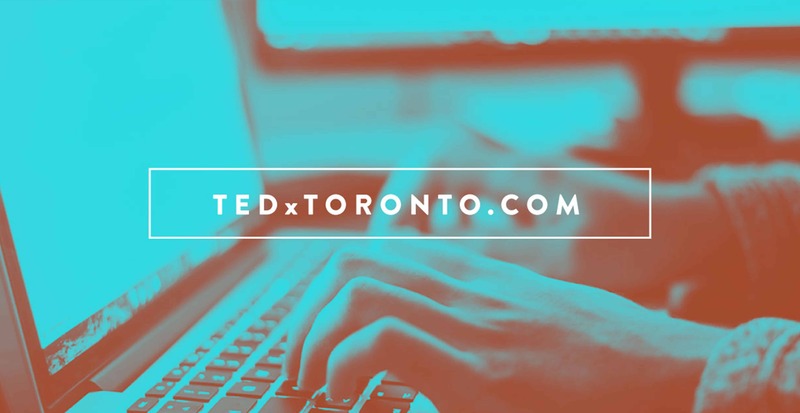 Going into its ninth year, TEDxToronto returns to offer new and gripping perspectives on a wide range of topics. The theme of this year is legacy, which Jeff promises will be representative of the innovative and relevant speakers they’ve chosen, and the thought-provoking ideas they’ve brought with them. Beyond selecting the speakers and location, what are your focal points when it comes to envisioning an event such as this? We intend to be as thoughtful about who’s in the audience as we are about who’s on stage. We make sure that all of the pockets of Toronto find out about the event so that it’s never going to be overrun by just tech and startup people or Bay Street finance people; it’s an event that represents real diversity of thought in the audience as much as in the speaker lineup. Through this diversity we want audience members to experience something new, and, as I mentioned before, we encourage this by creating opportunities for them to connect with fellow audience members. We include lots of breaks throughout the day– and we don’t just look at breaks as breaks, we see them as opportunities for deeper connection. During the breaks, we create activities for everyone to participate in and give them the chance to meet new people, rather than establishing it as a time to just grab a coffee. What new things can we expect from TEDx this year? Creating opportunities for connection is key here, and we’re making greater efforts to connect people to one another before the event. We’re connecting with people on Facebook already, encouraging them to get to know one another, and in preparation for the event, to rideshare. It’s not really because of the environmental or economic value; it’s to get two people who don’t know each other to meet before the event, chat during the drive, and then perhaps sit together or meet up for lunch and have a friendly face to connect with. I’m also excited for the new location. We’ve always functioned in a more dedicated theatre, whether that was Koerner Hall or the Sony Centre, but this is the first time we’re building out the whole stage within a very different type of venue. It’s enabling us to create more of a conference-campus vibe, so the breaks will be more engaging and fun, and the after-party will be onsite. Can you tell us about some of the unique speakers that will be there? I’m really excited about the mix we have this year. There are a few speakers who really exemplify the diversity of the subjects and topics that will be addressed. Elicser Elliott is a fantastic Toronto-based graffiti artist. Peter Sloly is a veteran deputy chief of police and currently a partner at Deloitte, working on organizational change for issues in security and justice. Catherine Reitman is going to discuss her eclectic career as a creator, producer, writer, and actor, and Philip Beesley will share his experience as a sculptor, architect, and professor working with a diverse team on innovative projects. Just from those examples, you really see how every speaker brings such a unique perspective and shareable idea to the stage.